Various boxes are nice pieces of decoration in any home interior. 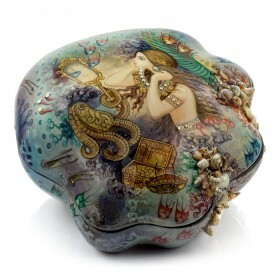 They not only adorn mantelpieces, dressing-tables and chests of drawers but are also used for keeping jewelry, cigars, letters and many other things. 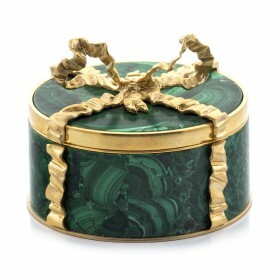 Such boxes made of bone, wood, malachite, mother-of-pearl, papier-mache, jasper and bronze, decorated with miniature paintings and stresses, are often created after the articles from the Hermitage collection. They will become an integral part of your home interior, stressing your individuality and style.